Legend Pro+ is all that, and more. Make your patients’ wishes come true while ensuring their safety and long-term satisfaction. Each patient is a world of their own; complete, unique and singular. Legend Pro+ allows them to enjoy that individuality by enhancing their best characters. From resurfacing of the upper layers of the skin, promoting the regeneration of collagen and elastin fibers in the deeper dermis to toning and firming the SMAS layer, firming and toning of muscles in the treatment area, Legend Pro+ offers a complete toolkit of non invasive and minimally invasive technologies for creating tailor-made treatments and personalized results for your patients. By encouraging and enhancing the natural processes of the body, Legend Pro+ unveils the best in each patient. Legend Pro+’s clinically proven technologies work in synergy to achieve the results you and your patients seek treating the skin from within with 4 different technologies. SMAS stimulation for toning and lifting of the SMAS layer to create a “Face lift” effect and toning and shaping of muscle groups in the treatment area. Activating the body’s natural healing processes by applying RF assisted ultra-thin electrodes ablation, followed by galvanic current to the tissue to create a non-thermal effect creating micro channels to induce controlled micro wounds, thus encouraging the generation of new and healthy skin. Applying contact RF and pin point ablation with controlled volumetric heating to achieve skin resurfacing and regeneration via wound healing process, resulting in skin texture improvement and refinement. 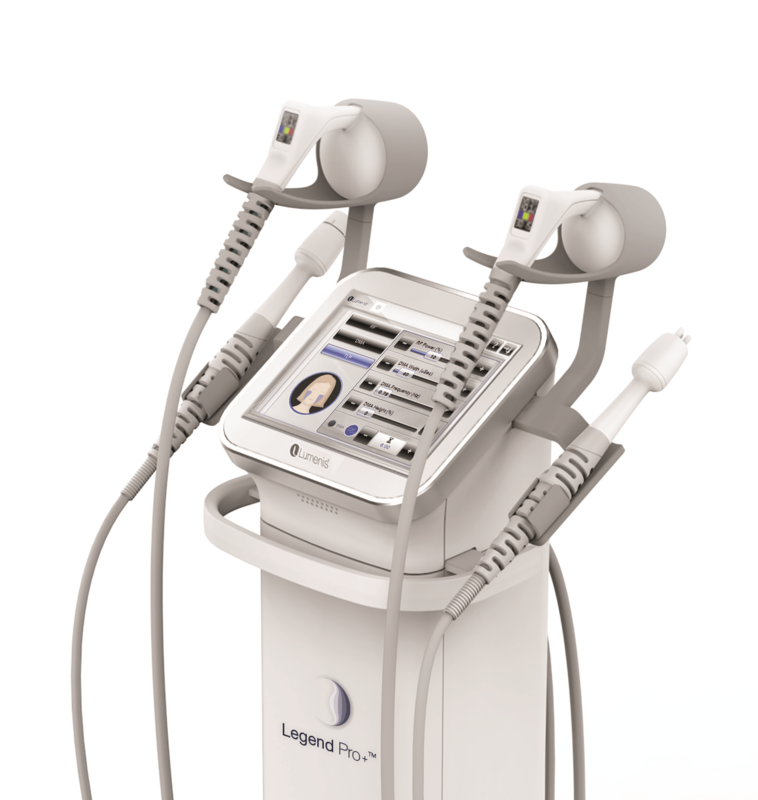 Legend M² unique synergized treatment combines the macro volumetric heating of tissue with TriPollar® RF and the precise micro heating of focal points with Hybrid Energy assisted ultras-thin electrodes to turn your patients’ wishes into reality. Legend M² treatment validated through clinical experience, as published in the article by Steven D. Shapiro “VoluDerm™* Micro-Needle Technology for Treating Skin Laxity and Wrinkles-Initial Clinical Experience”. Treatment with Legend M² reaches multiple layers of the skin, introducing a wide range of solutions for skin resurfacing and inducing regeneration, as well as wrinkle reduction. Legend Pro+ Combination of muscle toning and TriPollar® RF results in lifting and tightening of the skin. 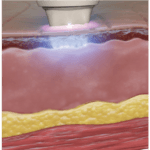 Volumetric heating of the skin with TriPollar® RF, leads to collagen remodeling and skin tightening followed by DMA muscle stimulation, leading to lifting and toning of the SMAS layer. For treatment areas other than the face, the TriPollar® RF volumetric heating together with DMA muscle activation, lead to skin tightening and toning and shaping of muscle groups in the treatment area.